President Donald Trump said Friday that his administration is giving “strong considerations” to a plan to release immigrant detainees exclusively into “sanctuary cities,” reviving a proposal that White House officials insisted had been rejected months ago after only informal consideration. His comments on Twitter followed a Washington Post report that the administration had been eyeing districts of political adversaries, including that of House Speaker Nancy Pelosi, D-Calif., to release detainees. “The Radical Left always seems to have an Open Borders, Open Arms policy – so this should make them very happy!” Trump wrote. His tweets suggested that the plan, which immigration officials had rejected in November and February, was again viable and that the administration is now considering sending all detainees to sanctuary cities to the exclusion of other communities. But following Trump’s tweets, a Department of Homeland Security official said DHS is not drawing up plans to implement the proposal. The official requested anonymity to contradict the president. The proposal that had been under consideration was opposed by many immigration enforcement leaders who viewed it as unworkable, having no legal justification and likely to create strain on an agency already dealing with a crisis. A White House official and a spokesman for Department of Homeland Security sent nearly identical statements to The Post on Thursday, indicating that the proposal was no longer under consideration. “This was just a suggestion that was floated and rejected, which ended any further discussion,” the White House statement said. “The idea was briefly and informally raised and quickly rejected,” the official said. Under current practice, once detainees are released, they are generally free to settle wherever they choose, and they are required to inform the government of their address. DHS generally releases immigrants in two ways: directly from one of Immigration and Customs Enforcement’s immigration jails or more recently, from Customs and Border Protection after they are apprehended and pass an initial security check. ICE is required to release immigrants, including some with serious criminal records, if they cannot deport them. The U.S. Supreme Court ruled in 2001 that immigrants cannot be jailed indefinitely after they have a final deportation order and must be released after six months if their native country will not take them back. Sometimes ICE officers or immigration judges release immigrants on bond. Most of the roughly 50000 immigrants in federal custody are apprehended at the southern border. Before Trump tweeted, Pelosi and other House Democrats attending a retreat here blasted the idea of the U.S. government taking migrants to sanctuary cities. “It’s just another notion that is unworthy of the presidency of the United States and disrespectful of the challenges that we face as a county, as a people, to address who we are: a nation of immigrants,” Pelosi said. “That’s not an act of democratic government,” he said. The Washington Post reported Thursday that White House officials have twice tried to pressure U.S. immigration authorities to release undocumented migrants into “sanctuary cities” to retaliate against Trump’s political foes, including Pelosi. 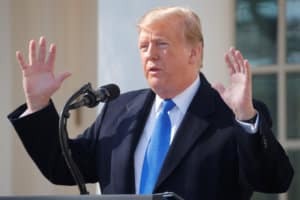 The White House raised the idea in November just after the midterm elections as a migrant caravan was approaching the southern border, then again in February when Democrats were demanding a reduction in detention beds in a budget standoff over the government shutdown. Pelosi’s San Francisco district was among the cities mentioned as a possible target, according to multiple DHS officials. Two took their case to Congress to blow the whistle on the proposal. The idea never came to fruition and in fact alarmed ICE officials asked to carry it out. ICE leadership protested that busing migrants from the border to different cities in the U.S. would create an undue time and financial burden on an agency already struggling with challenges amid a border crisis, according to emails reviewed by The Post. Lawyers at ICE rejected the idea for legal reasons as well; others noted it would cause “PR risks” to target Trump’s adversaries. But the White House believed it could punish Democrats – including Pelosi – by releasing ICE detainees into their districts to try to create an unstable environment and chaos, according to two DHS whistleblowers who independently reported the busing plan to Congress. Trump and other conservatives who have pushed for a crackdown on undocumented immigrants have used the term “sanctuary cities” to describe jurisdictions that don’t notify federal immigration agents when they have taken into custody possible undocumented aliens unless they have some reason to think the person poses a threat to public safety, such as an outstanding felony warrant. Trump campaigned on ending sanctuary cities, and singled out San Francisco for releasing an immigrant who was later involved in the death of Kate Steinle, 32, in 2015, a case Republicans have repeatedly highlighted. The man was later acquitted of the fatal shooting and convicted on a gun charge. His defense lawyers said the shooting was accidental. On the campaign trail in 2016, Trump said blocking funding for sanctuary cities would be a leading priority. “Cities that refuse to cooperate with federal authorities will not receive taxpayer dollars, and we will work with Congress to pass legislation to protect those jurisdictions that do assist federal authorities,” he said. Congress has not passed any legislation, and Trump’s other efforts have fallen flat. At least seven courts across the United States have blocked the Trump administration from cutting off funds to jurisdictions that federal officials say are failing to help immigration agents detain and deport immigrants. “The fact that such a proposal is being peddled by the leader of the free world is an all-time low for American discourse, and it’s the clearest sign yet that the president fully intends to chart a path to reelection on the back of racist rhetoric and policies intended to divide us,” Gascón said.